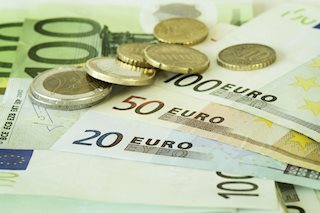 The shared currency remained apathetic after the release of EMU’s CPI figures for the current month, with EUR/USD staying around the 1.1180/70 band. The pair kept the bearish undertone intact after advanced inflation figures in the region showed consumer prices are expected to rise at an annualized 0.4% during the current month, matching initial forecasts. Further data saw Core prices expected to rise 0.8% over the last twelve months, missing expectations for a 0.9% gain. Unemployment in the euro region stayed unchanged at 10.1% in August, coming in short of expectations for a drop to 10.0%. Spot remains entrenched in the negative territory as developments around the Deutsche Bank continue to weigh on investors’ sentiment. Shares of the German lender continue to recover from the early drop to record lows around 9.90, currently hovering over 10.40, down more than 4%. On the US data space, Personal Income/Spending, PCE figures, the Chicago Fed PMI and the final print of the Reuters/Michigan index will take centre stage ahead of the speech by Dallas Fed R.Kaplan (2017 voter, neutral). The pair is now losing 0.34% at 1.1181 facing the immediate support at 1.1161 (200-day sma) followed by 1.1127 (2014-2016 support line) and then 1.1043 (low Aug.5). On the flip side, a break above 1.1271 (resistance line off 2016 high) would target 1.1279 (high Sep.26) en route to 1.1329 (high Sep.8).